Whether or not you are in the market for a new car, a growing amount of dealerships are allowing customers to pay using Bitcoin. In late 2013, many stories were told of the first Tesla bought using the rapidly growing digital currency, which helped forge the path for many more sales to come. Since then, we have seen many high-end automobile purchases with Bitcoin as the method of payment. To add to the continuing trend, Land Rover of Redwood City, California announced last week that the world’s first Land Rover was sold using Bitcoin. Land Rover of Redwood City has been a proud member of the Qvale Automotive Group since 2000 and the family sold its first car in 1947. Since then, the family now owns a chain of luxury dealerships throughout California and Florida. According to the Redwood City dealership, they were approached by a prominent Silicon Valley Venture Capitalist wanting to purchase a new vehicle with Bitcoin. At the time, the team in the San Francisco metro area had very little knowledge of Bitcoin or its useful benefits. The company partnered with BitPay, a payment processor, to help facilitate and complete the transaction. “Although the concept of Bitcoin is hard to grasp, the process as put forth by BitPay is quite simple,” said Doug Doyle, General Sales Manager with Land Rover of Redwood City. The adoption of Bitcoin into the brick-and-mortar space has helped many companies, namely car dealerships, gain a foothold on their competition. These businesses now can reach the ever-expanding Bitcoin community, and provide them with another way to spend Bitcoin. 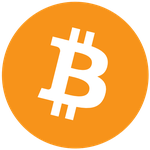 Doug Doyle stated in a recent press release, “we realized we need to be ready to accept change in this constantly broadening virtual community, so we agreed to our first Bitcoin sale.” The California dealership understands the innovation and simplicity of Bitcoin and what the financial implications for their business could be – lower transaction fees, zero chargebacks and low risk of fraud. These benefits could make a meaningful difference in every business. Will you be able to buy your next car with Bitcoin? Odds are yes. Simply because, many dealerships have began accepting Bitcoin due to an inquiry from a prospective buyer. In every story related to the same topic, it is apparent that all we have to do is ask. For dealerships, Bitcoin can and will change the way business is done. “Just send an invoice and the money shows up in your account. Simple and seamless, just as they [BitPay] said,” stated Doug Doyle. Not every car purchase with Bitcoin will be a Land Rover. Instead, we will witness other major dealerships jumping to accept Bitcoin for all cars, new and used. Companies like BitPay provide Land Rover of Redwood City with the ability to seamlessly complete transactions with substantially lower payment processing fees than those of credit cards or money transfers, with the opportunity of flat-rate pricing. For consumers looking to spend Bitcoin, this could bring savings to you, because the dealership could lower the sticker price due to its savings on transaction costs. The age of buying your next car with Bitcoin is just getting started. Thanks to early adopters like Land Rover of Redwood City, who are paving the way for what is to come.